Jeans and jacket (sport coat) is a fairly casual look. So a casual watch would work well - something round. I tend to match the watch strap to the belt and shoes I'm wearing so brown or black, depending on the day. The color of the watch metal matches the belt buckle - silver or gold. So having four watches is ideal... black / brown with yellow gold and black / brown with stainless steel. I think stainless steel is more casual so you could condense to two options. Brown is more casual than black - so you're left with a round stainless steel watch with a brown strap. From there the choice is yours... unless you want a metal bracelet... hmmm? Hamilton's modern watch line up has quite a few options in the 500 euro range. If you're going to go vintage - then there are lots of options at the lower end of your range. 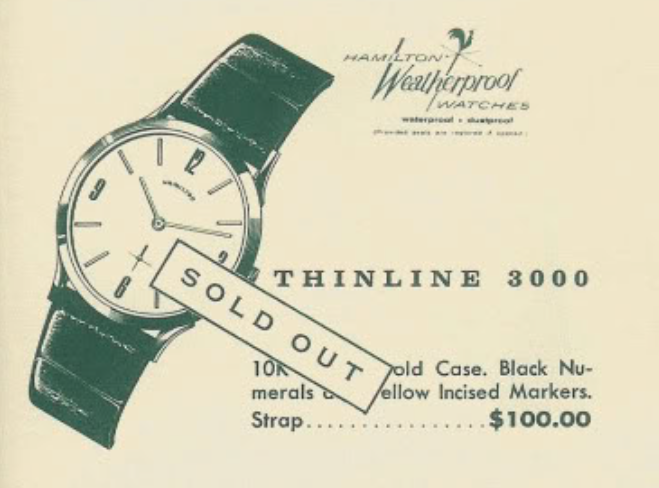 Hi Dan, I have that exact same watch that was given to me by my father. It sounds as though the watch you have has some of the same characteristics as mine. There is a stain visible on the dial by the 3 as well but the watch runs fine as far as I can tell. The only other difference is that my numbers are gold and not black. I love this watch and would like to clean it up. Get a new crystal and clean the face. Do you think this is something a rookie should try and do on his own? Like a car, the most important part to maintain is the engine (power train) as opposed to the aesthetics / looks. So getting your watch should be cleaned and oiled every few years if you intend to use it. A running watch that’s not maintained will eventually become a non running watch with serious issues. As for tasks a rookie can do... changing a crystal is easy with the proper tools. Cleaning dials is a great way to ruin them. The stain near the 3 is the result of moisture getting past the crown. 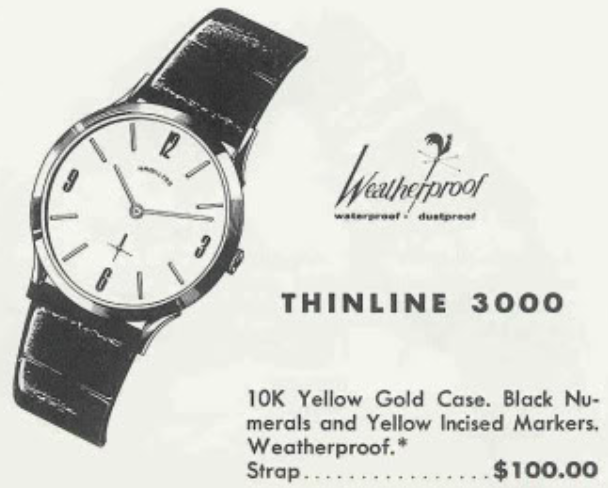 Keep vintage watches away from water, even sweat, as a general rule. Thanks Dan I guess I will leave the dial as is. I will try and find a local shop to get this thing serviced as I plan on wearing it on occasion. My newer Hamilton's are are very large and while I enjoy them I really like the feel and look of the smaller pieces. Great post. I have what LOOKS like a 3000, as the font matches your pictures perfectly, but the araabic numerals of 12, 3, 6 and 9 along with e markers are gold. Were any of the 3000s like this? you mention in the article as well as its listed in the catalog that the numerals should be in black. Not sure what to tell you... maybe refinished dial?